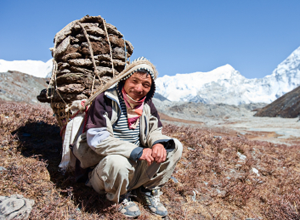 A sherpa is an Tibetan guide that helps climbers navigate Mount Everest, one of the toughest challenges in the world. The knowledge, the expertise, and the heavy lifting is what makes them unique. In many ways, your friendly travel agent can serve as your sherpa and assist in planning the ultimate vacation. Travel agents know the best tour operators and most reliable accommodations, and some of the best travel deals out there. Travel agents have access to value added services like breakfasts, upgrades, transfers, amenities due to the relationships cultivated with the hotels, cruise lines, and tour operators. Travel agents can help you if unexpected situations arise during your trip. Cancelled flights, lost luggage, hotel mixups can be very frustrating where you are thousands of miles from home. So call us at 847-480-0169, 877-707-SENT, or use the contact form.